April 3, 2018 -- It isn't new information that overall demand for imaging services has been steadily on the rise due to the growing number of aging individuals in the U.S. A lesser known fact, however, is that almost half of U.S. radiologists also fit into this age bracket and will soon be retiring from the workforce. Laurie Lafleur from Paragon Consulting Partners. Add to this trend the fact that there's a dwindling number of bright-eyed new residents emerging to fill these soon-to-be vacant positions. It is projected that by 2025 there will be a national shortage of radiologists in the U.S. to the order of tens of thousands of positions. What will this mean for providers and patients? To answer this question, we can look overseas to the U.K., where this is already a hard reality. For care providers, the imbalance between workforce and workload has resulted in a growing backlog of unread exams, and 99% of radiology departments reported that they were unable to meet their prescribed reading thresholds. For patients, more than 230,000 have had to wait a month or more for their imaging results. These statistics paint a grim picture. Fortunately, emerging technologies such as blockchain and artificial intelligence (AI) will enable healthcare organizations to create efficiencies that will better allow them to accommodate the growing demand for imaging services while minimizing the need to bring on new talent. Many healthcare organizations have advanced significantly with their enterprise imaging strategies, successfully integrating disparate imaging facilities and departments and improving access for providers and patients through the electronic medical record (EMR) and image-enabled portals. But a significant problem still remains; efficient sharing is limited to care providers within a given network -- some sort of digital and legal affiliation is required before any degree of transparency can be provided into patients' clinical history. Unfortunately, this limitation often results in increased overhead, as the degree of radiologist resource utilization varies and can be suboptimal between networks. Additionally, radiologists often lose valuable time searching and waiting for relevant prior exams to be retrieved from disparate sources, and many prior imaging procedures are repeated when radiologists are either unaware of or cannot access prior cases when they reside outside of their network. This situation can be likened to small children who may play in proximity to one another but do not truly share or play together until they reach a higher level of maturity. So, too, does enterprise imaging technology need to mature to facilitate true transparency and fluidity of patients' medical information between the facilities and providers from whom they seek care. Blockchain, which gained notoriety in the financial sector through its application with the bitcoin cryptocurrency, has the potential to achieve this next level of maturity within enterprise imaging. To put it simply, blockchain provides a secure method of indexing and sharing information across a network of otherwise unaffiliated systems. As part of a distributed and collaborative ledger, each system plays an integral role in recording and validating health transactions from across the network (the existence and location of patient images, for example). Because of this mutually dependent design, data are guaranteed to be synchronized across the chain, and it is impossible for any one person or system to corrupt or take down the network. Furthermore, the privacy and security of patient data are ensured through inherent cryptography and security controls. This technology has the potential to liberate patients' health data, allowing information to flow freely between care facilities, providers, and patients across physical and virtual boundaries in a rapid, permission-based, secure manner. Through this, reading networks could be expanded to fully leverage and optimize soon-to-be-scarce radiologist resources, increase accessibility for patients to coveted specialists, and create efficiencies in the care delivery process nationwide that will not only reduce overhead and accelerate care but also ultimately reduce cost and improve overall quality of care for patients. Narrowing the focus from the enterprise level, further efficiencies can be found within departmental workflow through artificial intelligence, an exciting new technology that, while still in its infancy, offers a lot of promise for automating otherwise manual or repetitive actions and improving the accuracy, consistency, and quality of imaging interpretation. AI's power lies in the collaboration it fosters between humans and machines, bringing together the greatest strengths from each: the critical thinking, natural intuition, and creativity of humans and the speed, scalability, and precision of machines. There are already many applications available that can be integrated into existing imaging infrastructure and systems today. Mammography has long leveraged computer-aided detection (CAD) to aid the diagnosis of potentially cancerous lesions in breast tissue. Now, additional algorithms are available that assist in other clinical specialties such as cardiology, oncology, orthopedics, pathology, and pulmonology. Artificial intelligence has the potential to accelerate the reading process of radiologists by automatically highlighting and drawing attention to potential findings. Additionally, it can be leveraged to manage the priority of unread cases in the imaging backlog by automatically identifying clinically urgent cases, based on a quick analysis of the incoming images, and ensuring they are elevated to the top of the reading queue for immediate interpretation. Eventually, as the technology is refined, it's thought that AI will be able to fully automate the interpretation of routine exams, flagging only those with new findings for an expert radiologist to review. Also, peer-review tasks could one day largely be automated, which would elevate interpretation quality and foster a perpetual learning environment. These current and emerging capabilities of AI have enormous potential to augment workflow while reducing workload and administrative overhead for radiologists, allowing them to accomplish more with fewer resources and further circumventing the negative impact an impending shortage could bring. To prepare for a radiologist shortage and avoid a situation like the one faced by our friends overseas, a significant change in the way information is accessed, used, and shared is needed. Blockchain and AI are just two examples of innovations that could usher in a new era in which the best in technology and human expertise can combine to form a truly unified healthcare ecosystem that operates efficiently, effectively, and, most importantly, in the best interests of patients. Laurie Lafleur is a senior imaging consultant at Paragon Consulting Partners, providing consultative and advisory services for healthcare and technology organizations. 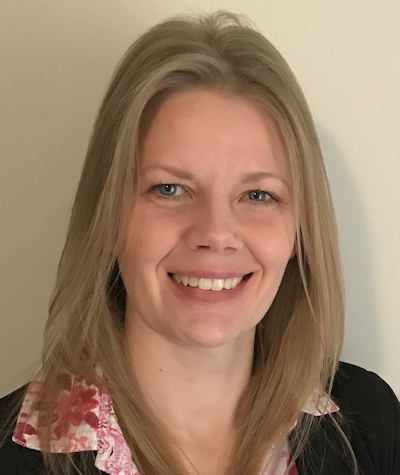 Having worked with care providers and vendors across Canada, the U.S., and Europe, she brings more than 17 years of relevant experience in software engineering, product marketing, and business strategy within the healthcare IT and imaging informatics industries.